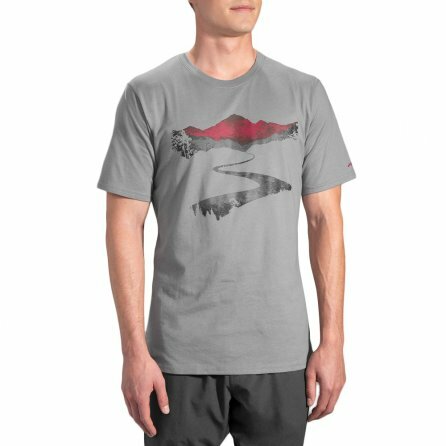 Brooks' Long Road T-shirt looks like your basic after-workout cotton tee, but it's actually designed for both mid- and post-run wear. Instead of simple cotton, this shirt uses a poly-cotton DriLayer® blend to wick moisture. So it isn't just a lazy-day T-shirt, but a stylish running companion. The semi-fitted cut hugs the body for better comfort and movement.